This classic backpack has a large main compartment with a computer sleeve and a zippered front pocket with a mesh organizer. 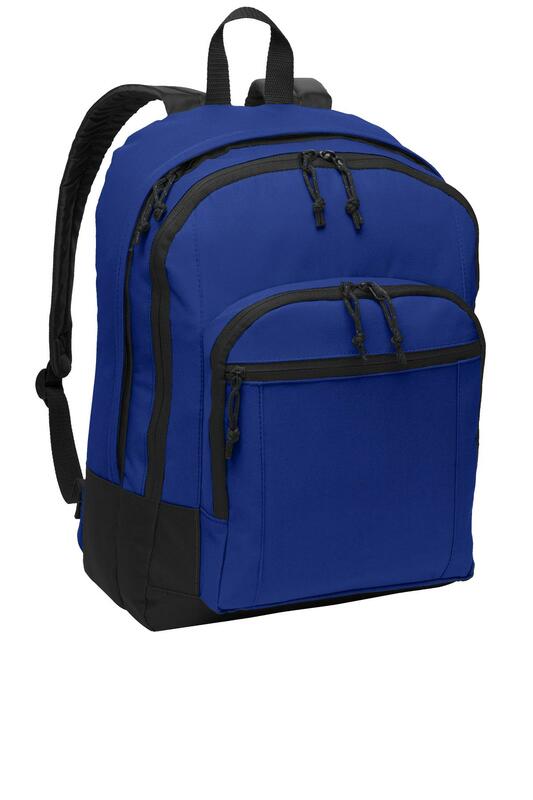 600 denier polyester Web top handle Four zippered compartments Padded back for comfort Protective padding on lower sides and bottom Ergonomic padded straps Laptop sleeve dimensions:9.5 h x 12.25 ; fits most 15 laptops Front zippered pocket for easy embellishment Dimensions:16.75 h x 12.25 w x 4 d; Approx. 820 cubic inchesNote: Bags not intended for use by children 12 and under. Includes a California Prop 65 and social responsibility hangtag.